The truth is … there are a number of responses to this question but the answer will circle back to the “must have” business needs and current state of each user’s systems of record for managing maps and location-based information. So why bring buildings and indoor spaces into GIS? Improving operational efficiency, revenues from charge-backs, deal-close times, and risk mitigation are all “got to have” reasons. But one area in which we have seen increasing interest over the past couple of years is improving staff productivity and performance. I’ve had customers and colleagues exclaim that these days it’s all about the occupant (e.g. employee, visitor, customer, etc…) experience and minimizing distractions — reducing impacts on mental bandwidth. They see the ubiquity of smart devices and the ability to deliver map-based information products (read: apps) anytime, anywhere, on any device. And they want to reduce the fragmented distribution of map or location-based data (e.g. 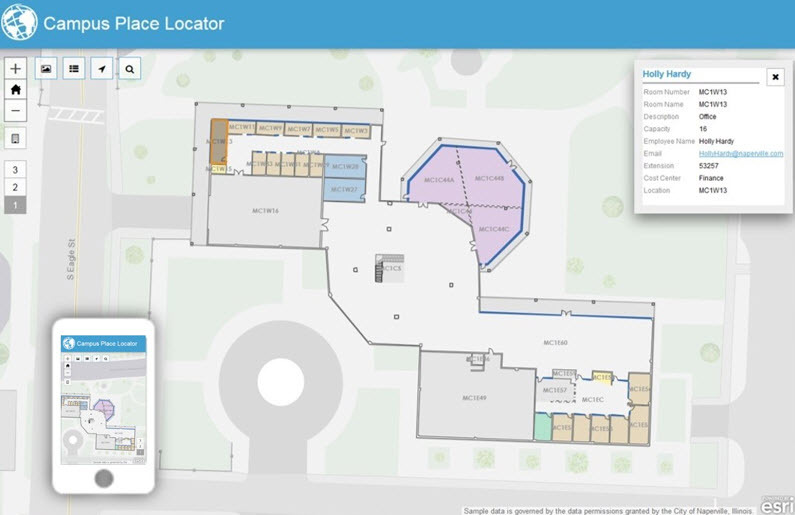 in PDFs and spreadsheets) in their own organizations by using a common mapping hub or portal. They say “we’d like to create, maintain, and share location-based data and ‘living’ maps from an authoritative platform … one that lets our users easily communicate with data from other business systems.” This is a common request. 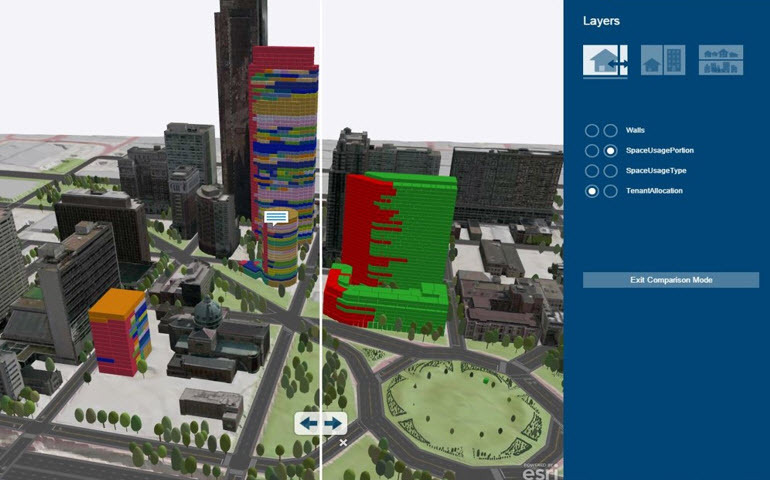 Enter the era of ArcGIS as a mapping platform for building space; or in common industry speak, a mapping platform for real estate and workplace services (REWS). REWS teams need to know type, status, and condition … and in many cases they need real-time or near real-time updates. These professionals are responsible for property sales, design evaluation and scenario planning, space management, smart building assets, amenity site selection, operations, and security … and that’s just the short-list. With ArcGIS, REWS professionals are seeing the benefits of quickly searching their portfolio with dynamic, map-based applications — applications that quickly return results at any scale, from global to a single floor or room in building. These same applications also allow the user to “take me there” via 2D or 3D interactive routing and navigation maps. … that allow customers to quickly implement ArcGIS into their property, workplace, or facility management business practice. I encourage the REWS community to take a closer look at the ArcGIS platform and the wide range of examples, templates, and case studies available at the ArcGIS online mapping hubs for Facilities and Real Estate. With ArcGIS, you will be amazed at how much faster you will close deals, achieve operational savings, and boost occupant productivity. I’ll save a formal answer to the “black hole” question for a future post but let’s just say many folks are discovering that they don’t have to have them. In fact, it turns out many organizations are actively filling and managing those ‘map-gaps’ with indoor GIS data layers … and fully integrating them with their outdoor GIS layers.